Through a Toronto-based digital e-commerce platform called MotoCommerce, Genesis Motors Canada has been able to sell cars without dealerships. It has been about seven months since Genesis launched with a plan to sell its luxury cars online, and it’s beginning to gain momentum, said Don Romano, CEO of Hyundai Auto Canada Corporation, the parent company of Genesis Motors Canada. He said consumer reaction has been positive to this method of purchasing the G80 midsize sedan, G80 Sport and G90 full-size sedan. The automaker had sold 218 Genesis vehicles through June 30. “People are looking for faster, more convenient and transparent ways to acquire goods and services and our industry is not going to be exempt from that,” Romano said. Genesis has agencies as opposed to dealerships, and if a prospective customer wants a test drive, the car is brought to them. If the consumer is interested in following through on a purchase, it is all done online. Everything from the custom configuration of the vehicle, through to picking accessories, warranty, trade-in appraisal, credit application and verification of the proof of auto insurance – it is all handled in a single digital platform. The prices are all preset, so there is no need to negotiate. The system that allows Genesis to do this was developed by automotive data and technology provider, Motoinsight of Toronto. Romano says one aspect of the service is the communication between the agencies and the customers. Tai says Genesis is seeing a unique engagement with customers. 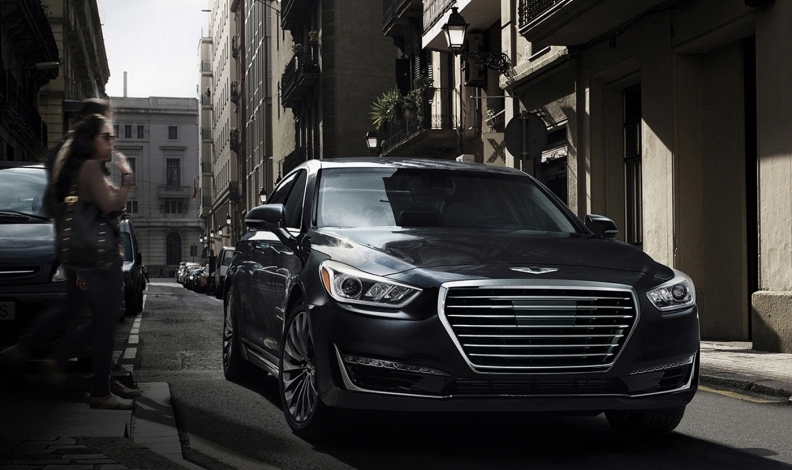 Genesis Motors Canada won’t be limited to just an online presence. It has initial plans for 14 showrooms or boutiques — some of these will be in malls — with a contact person and salesperson and one or more cars on display. The initial showrooms are focused in Vancouver, Montreal, Quebec City and Toronto, but the long-range plan is to have more than 30 showrooms in Canada. The first opened in downtown Toronto and is owned by a Hyundai dealer, Shahin Alizadeh. The Toronto showroom has four cars on display, which are available to test drive, although so far, most of the demonstrator vehicles are brought to the customer. Two more showrooms are expected to open in the Greater Toronto Area within the next two months.